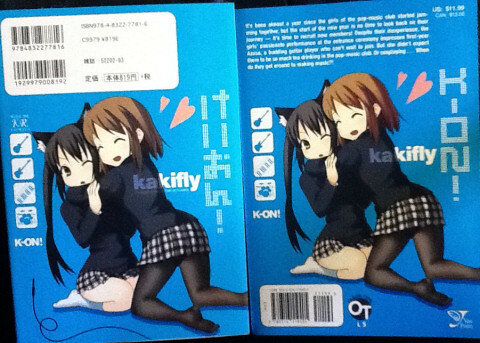 While the first volume of Kakifly’s original K-On! manga was covered by (more or less) the first eight episodes of the TV anime (in other words, the parts that have been released in the US so far), Volume 2 forms the basis of the rest of the first season. As I’ve mentioned before, I personally would prefer to watch the anime first – but if you’re not currently following the anime, there is no reason not to get started on the manga. 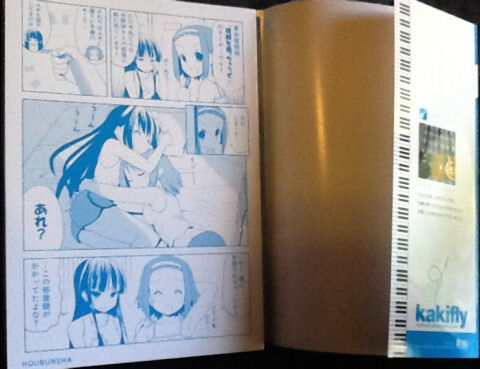 The English version from Yen Press compares to the original Japanese in much the same way Vol. 1 did, so if you’ve read my review of that then you probably know what to expect from this. 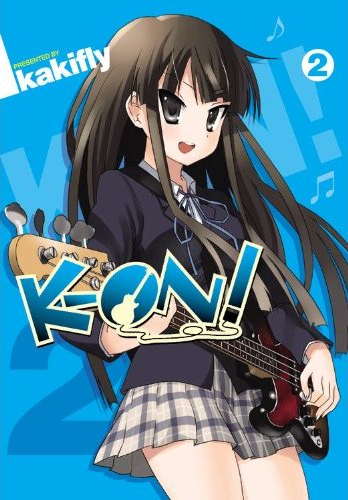 One thing that’s introduced in this volume which is disappointing to some fans is the translation of Azusa’s Yui-given nickname “Azunyan” into “Azu-meow”. It’s not that it’s wrong, per se, it’s just… It’s not her name. “Azunyan” has become so popular among fans, and has become such a part of the character’s personality that it probably would have been better to leave it as it was, perhaps with a translation note explaining the name. As with volume 1, the Japanese book has a dust cover that is the actual cover on the English edition. The “bonus comics” behind the dust cover are moved to the back of the book and it works just as well, if not better, than the original. And once again, color pages that were reduced to grey tones in the Japanese volume are restored to full color in the Yen Press book. 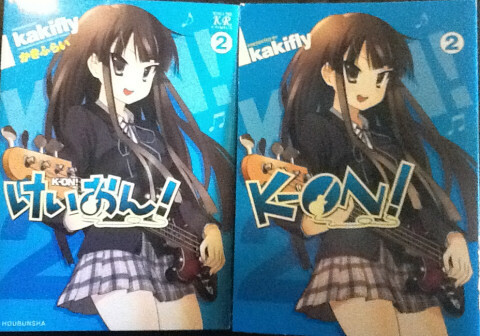 All in all, I think Yen Press continue to do a bang-up job – “Azu-meow” aside – with their English language edition of K-On!, and while I still recommend that those currently following the anime through Bandai’s American release hold off on reading volume 2 until season 1 is complete, it’s worth a buy regardless.